Boy plus girl equals love. Yes, in the cartoon-world of Alessi’s classic Girotondo design, life really is that simple! A cheerful pattern of cut-out boys, girls, hearts and more, Girotondo has become an Alessi classic. Let Girotondo’s uncomplicated joy lend a little fun to everyday life. There’s a piece in the Girotondo range for pretty much everything – from the Girotondo Platter to the Girotondo Toast Rack to the Girotondo Bin. 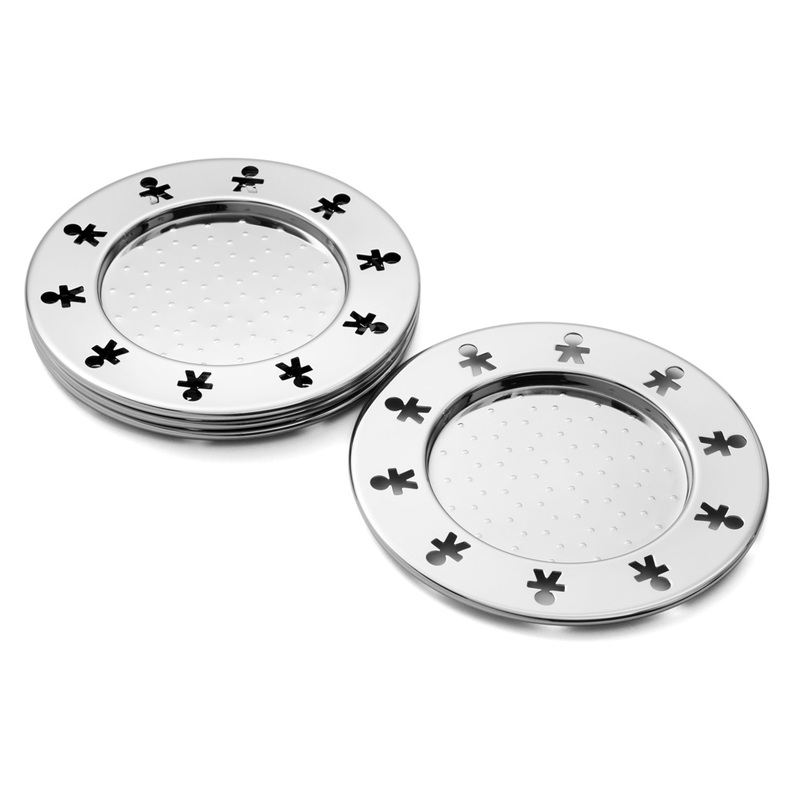 Now, the Girotondo range just got a little more exciting, with the Girotondo Mini Coaster Set. Whenever you’re feeling a little down, the sight of these four coasters scattered around your dining room or lounge should cheer you up in not time. Presented as a set of four coasters. Diameter: 8cm (13cm including rim).